We are a dynamic corporate law firm comprised of highly experienced and diverse attorneys that counsel clients ranging from early-stage companies to Fortune 100 companies on a range of complex business litigation and transactional matters. Our clients come to us to partner with a diverse law firm that can marry BigLaw sophistication with small firm creativity and responsiveness to deliver best value in solving some of their most complex legal challenges. We are highly experienced, diverse attorneys delivering the best of BigLaw with small firm efficiency and customized responsiveness. We are agile business lawyers who have honed our skills practicing in large corporate law firms and in-house legal departments of major corporations and governmental agencies. 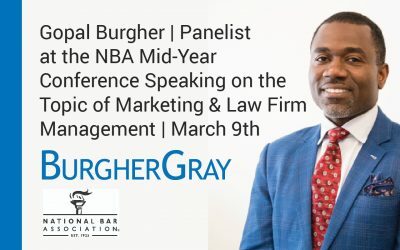 At BurgherGray, we take a practical and goal-oriented approach towards partnering with our clients to solve their most vexing legal problems. We place a premium on understanding our clients’ businesses in order to put ourselves in the best position to anticipate their legal needs and devise tailored solutions to meet them. Take a look at Our Headlines. 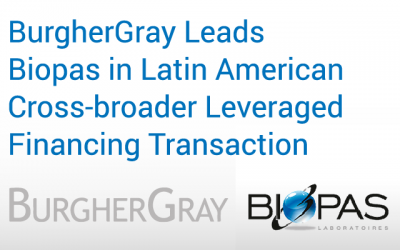 From Legal Insight articles to the latest happenings within BurgherGray. Our Headlines will fill you in. 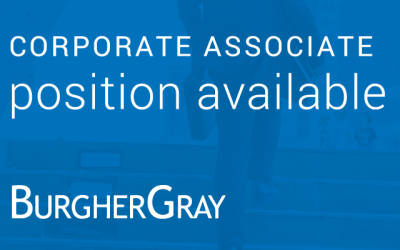 Get BurgherGray’s Legal Insights and latest happenings delivered to your inbox. All we need is your name and email. Unsubscribe at any time with one click.